Interim DeKalb CEO Lee May has applauded Chamblee for being the only city in the county whose annexations offer to take in large numbers of residents as well as prime land. Since taking office in July, May has also asked the rest of the county’s cities to develop similar annexation zones that call for cities for provide more residents basic services. That effort will take time, so he plans to ask state lawmakers for a two-year moratorium on new cities to hash out a plan. 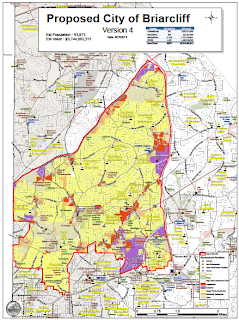 The article does not mention our own local annexation battles relating to City of Decatur's intention to annex Suburban Plaza and multiple commercial properties (but little in the way of residential properties) on North Decatur and Clairmont Roads. These commercial properties currently supporting DeKalb County at large and are part of the incorporation plan proposed under the City of Briarcliff (also not mentioned in the AJC article). Per Crossroad News earlier this year, "The BOC’s Finance Committee estimated the loss could reduce the county’s tax revenue by $21.8 million in 2013 and become a catalyst for property tax increases of 9.3 percent and 11.3 percent." For additional context on City of Decatur's annexation plans, see all our NIX ANNEXATION posts. At the October 21 MANA community meeting, Allen Venet shared that the results of the viability study for City of Briarcliff (which includes MANA and CHCA and towards which MANA contributed $1000; updated map available here) should be available by the end of the year. So should be the study for City of Lakeside (a proposal that excludes MANA and CHCA). Going into the next state legislative session, cityhood and annexation will certainly be on the docket. 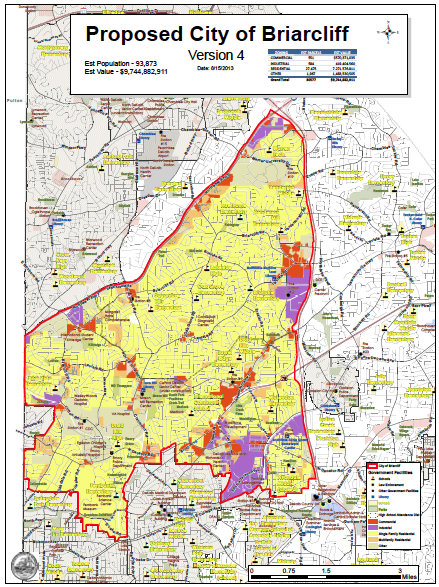 For a list of cityhood proposals submitted to the GA General Assembly 2013-2014, see http://www.medlockpark.org/2013/09/commissioner-raders-reflection-on.html.